The breakdown of Turkey’s aggressive plans directed against Syria, Ankara’s fault in the strong aggravation of the Russian-Turkish relations, the complication of Turkey’s domestic security issues and its emerging isolation in the international arena, are forcing Recep Tayyip Erdoğan to seek new allies and partners in the region. Thus, at the end of 2015 and the beginning of 2016, Turkey significantly increased its political, military and military and technical cooperation with Riyadh, Doha, Kiev, Tbilisi and Baku. Turkish President Erdoğan and Prime Minister Ahmet Davutoğlu have both made urgent visits by way of ‘shuttle diplomacy’ and signed a number of new agreements with the aforesaid countries, including, in particular, on establishing mutual military bases in their own country and in their partners’ countries. Simultaneously, special attention was paid to Turkish-Azerbaijani relations and contacts. As it is well known, “The Agreement on Strategic Partnership and Mutual Support” between Azerbaijan and Turkey, concluded back in 2010, serves as the legal basis for bilateral cooperation between Ankara and Baku. In accordance with it, Azerbaijan has purchased various artillery rocket systems, armoured vehicles and other heavy weaponry in Turkey for its armed forces; and the joint production of a range of the aforementioned military equipment has been established. 107 and 122 mm multiple launch rocket systems (MLRS), Kasirga large-caliber 300-mm MLRS T-300 (a licensed version of the Chinese WS-1B system with a maximum firing range of up to 100 km) and more than 100 armoured personnel carriers and Cobra armoured vehicles produced by the Turkish company Otokar. It is planned to deliver the TASMUS tactical area communications system, produced by Aselsan, and 2 batalions (36 SP howitzers) of Firtina 155 mm self-propelled howitzers (a licensed version of the South Korean self-propelled howitzers) and some other modern types of weapons and military equipment made in Turkey. - Promotion of structural change and upgrading of the Azerbaijani army according to NATO standards. In the period of March 7-25, 2016, joint Turkish-Azerbaijani planned exercises were held at the airbase in the Turkish city of Konya, in which 3 combat aircraft MiG-29, 3 combat aircraft Su-25 and 3 military transport aircraft IL-76 of Azerbaijani Air Force took part. These were the second joint exercises of this kind, held by the two countries. 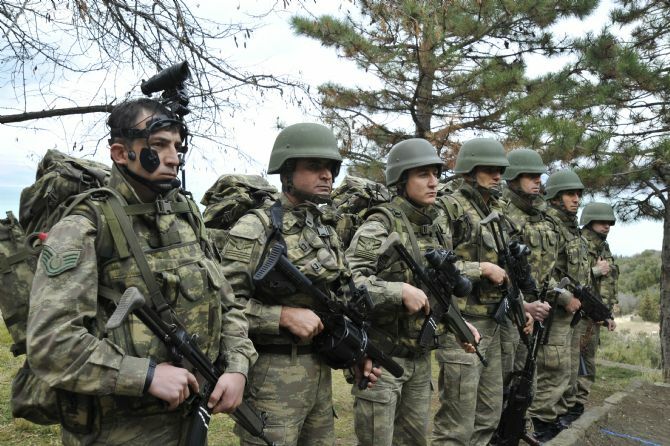 In 2015, Turkish and Azerbaijani soldiers held both land and air military exercises. 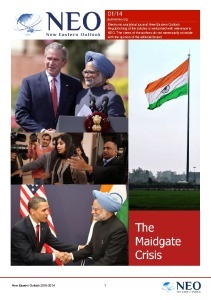 one nation – two states”. In fact, this slogan means that Erdoğan is going to draw Azerbaijan, other Turkic-speaking, Muslim and other States once a part of the Ottoman Empire into the circle of his political and military influence. with the help of Pan-Turkism slogans, Salafi-Sunni Islam, and trade and economic, cultural and other ties. One of the most important areas of cooperation between Turkey and Azerbaijan is the design and construction of newer and newer strategic communications (oil and gas pipelines, roads and railways), i.e., revival of the so-called ‘Silk Road’ Beijing – London, bypassing Russia. In contacts with representatives of Baku the Turkish leadership strongly emphasizes the need to resolve the Nagorno-Karabakh conflict based on the principle of territorial integrity of Azerbaijan, even including the use of military force. At the same time Ankara ignores the absolutely equivalent principle of international law of ‘the right of nations (peoples) to self-determination’. The Turkish authorities have repeatedly expressed their willingness to support the side of Azerbaijan in this regional conflict. Erdoğan, with his provocative statements, in fact, pushes and provokes Ilham Heydar oghlu Aliyev to new acts of aggression against the Nagorno Karabakh Republic and Armenia. It was no coincidence that, overnight on April 2, 2016 the Azerbaijani armed forces again undertook a massive bombardment and launched an offensive on the position of Nagorno Karabakh rebels and Armenia’s military forces. According to reports from Baku, Azerbaijani troops allegedly managed to capture several strategic passes and ‘liberate’ a number of settlements. There were reports of dozens of dead and wounded on both sides. Members of the OSCE Minsk Group, the CSTO secretariat, Russia and other concerned countries have launched an appeal to all parties to the conflict to immediately cease fire and reinstate compliance with the ceasefire in accordance with the Bishkek Protocol of 1994. “We pray our Azerbaijani brothers will prevail in these clashes with a minimum of casualties. We will support Azerbaijan to the very end”. 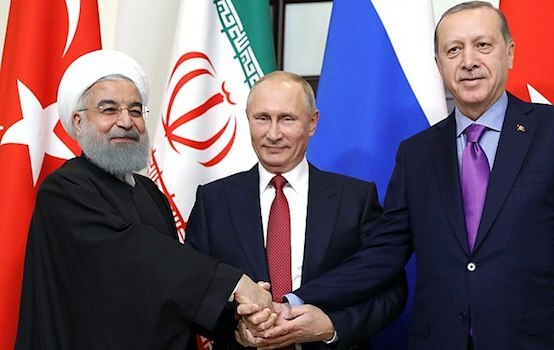 Thus, adventurism, aggression, provocation, blackmail, close ties with radical Islamist groups, international terrorists and criminals are increasingly the main components of Turkey’s current domestic and foreign policy. Erdoğan’s imperial ambitions do not only create the preconditions for Turkey’s further isolation in the international arena, but also for the aggravation of the situation in the Turkish Republic itself and the region as a whole. Unfortunately, Erdoğan’s clearly populist and provocative policy is finding support in the Trans-Caucasus region and in Baku.